Direct from the desk of our design team, this illustrator document offers you dozens of items to 'swipe' for colours, electroplate finishes, pin backs and more. 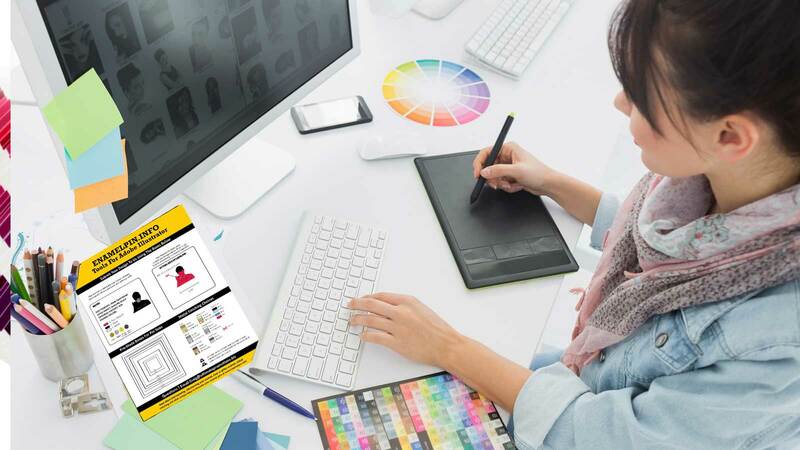 This document is designed specifically for Adobe Illustrator. In order to access all the swatches and tools, please download the file. This file is converted to outlines and you can simply delete our branding off the top and bottom and use this file to submit art if you desire. 99.9% of our art files arrive without any notes or specs whatsoever. Although our mind reading skills are "next level" it sure would be nice if designers provided the details required to offer you an accurate quote. Starting at the top of the document, you'll notice two boxes. We suggest copying and pasting these two boxes into a new document in Illustrator. This de-clutters our design space, but also reminds you that at some point, your art needs to be reduced to actual size. The box on the left walks you through the specs we need to make your pin. The box on the right is where you can place your finished design prior to submitting it to us. You'll want to point out any possible areas of confusion such as an internal (hole in metal). 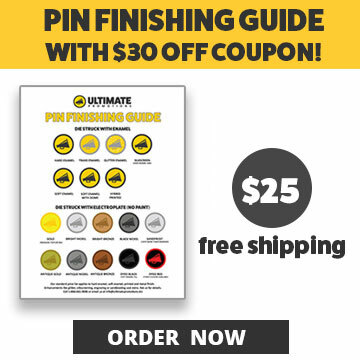 It's also helpful to add a size line that indicates your desired pin size. 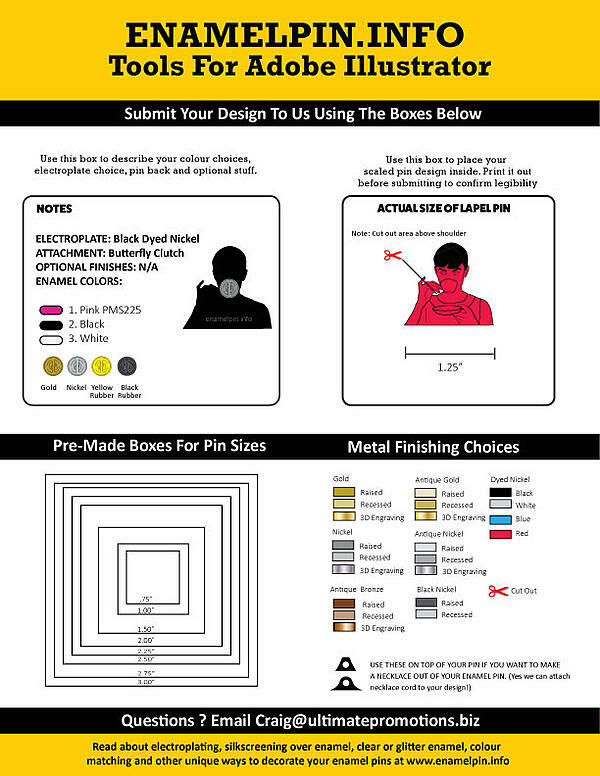 The Pre-Made Boxes for pin sizes allows you to quickly lay out multiple sizes of your pin design. Print it out and see which version is the most legible. Keep in mind that pins over 1.25" start getting "spendy" in a hurry. The Metal Finishing Swatches allow to use the eye dropper tool to copy the colours to your design. We hope you enjoy this tool and invite you to review our other articles in our enamel pin design guide blog.